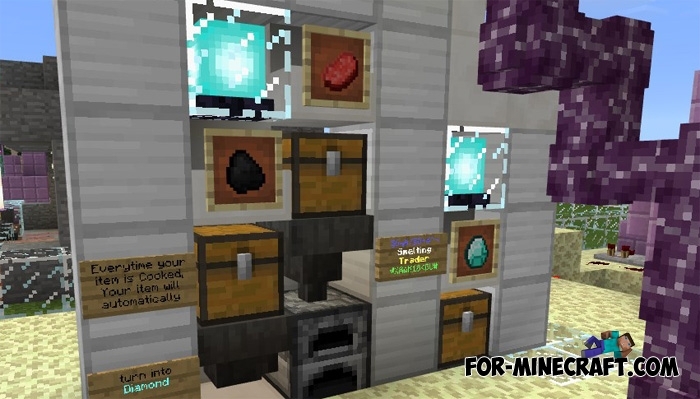 On this map you will find about a dozen completely different mechanisms designed for mining cobblestone and water, turning on and off effects and even an automatic machine for selling items. Each mechanism can be created in the survival mode and used as long as desired. Some mechanisms are very useful in construction or adventure, so the Simple Redstone Mechanisms map is also an excellent lesson how to build such a mechanism yourself. Simple Redstone Mechanisms can teach you how to build redstone circuits and blocks. By connecting these pieces together, you get a functional and automatic mechanism. If you really like some kind of mechanism and you want to build it yourself, then destroy the base and learn which blocks were used. 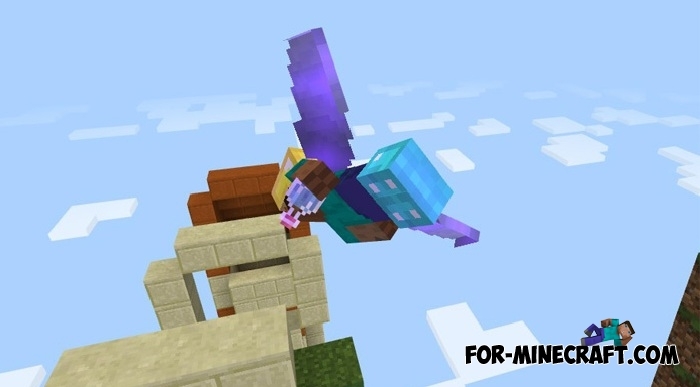 In fact, this MCPE map is a teacher in some way for beginners.